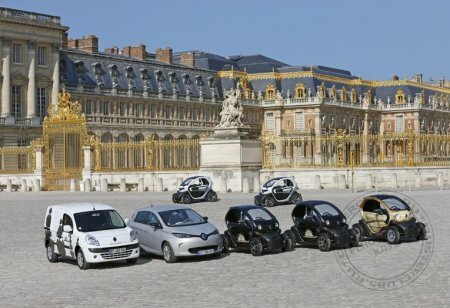 Since the summer of 2013, vehicles from Renault's a zero-emissions range have been driven back and forth around the gardens of the Versailles château near Paris. Renault signed a partnership to make a fleet of 23 all-electric vehicles available to the historic site to reduce the environmental impact and noise resulting from workers moving around the property. With 12 million visitors a year, the Versailles château is one of the most popular tourist destination in France. This partnership gives Renault's electric range a very high profile. 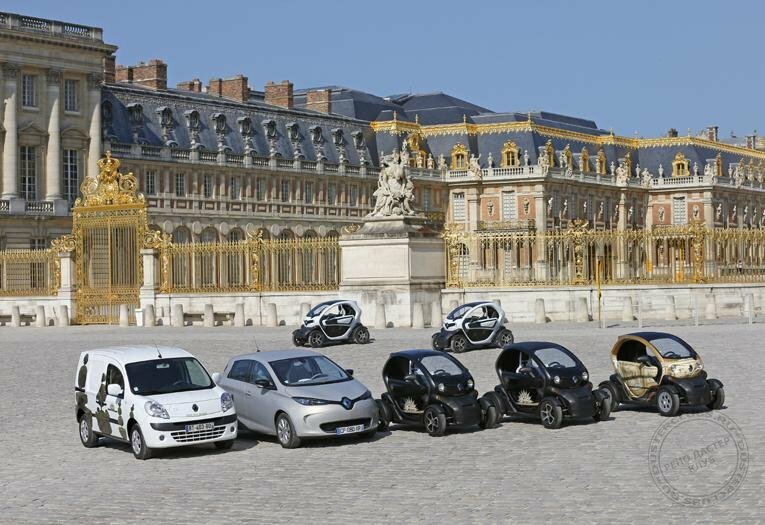 Renault has joined forces with the Versailles château, supporting its environmental policy and commitment to sustainable development, by making a fleet of all-electric vehicles available to the historic site. The partnership marks “Le Nôtre Year”, which pays tribute to the man who created the château gardens. 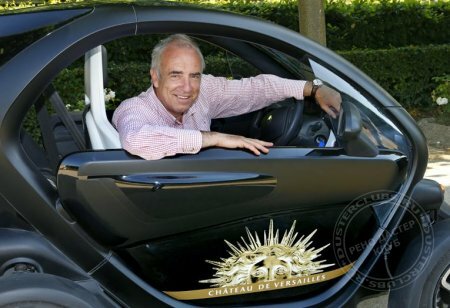 Renault has supplied 23 zero-emissions vehicles suited to the varying needs of the people who work at the château site. They will be used to cover its 43 kilometres of roads and gardens, helping with the maintenance of 350,000 trees and the planting of 300,000 flowers. 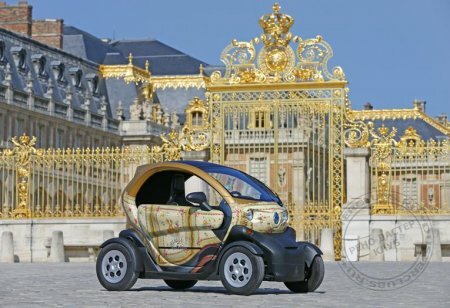 Three ZOE vehicles are used by service staff to get around the grounds or travel between the national domain of Versailles and Marly. Ten Kangoo Z.E.s (the fully glazed and double cab versions) are used by gardeners and people from the conservation department for transporting valuable items, statues, plants and tools. 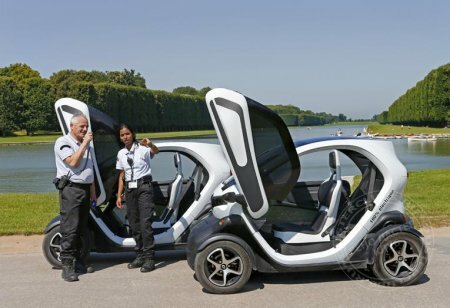 Security workers drive the ten units of Twizy because they find the vehicles’ manoeuvrability especially well-suited to urgent tasks and to negotiating narrow pathways. 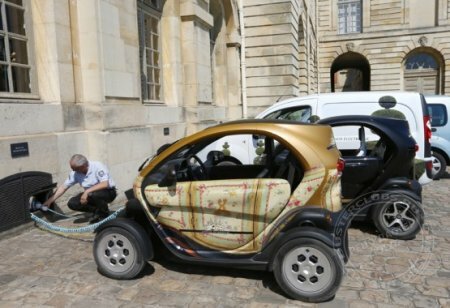 To recharge the fleet of vehicles, thirty electric recharging points have been carefully – and indeed elegantly – installed throughout the national estate of Versailles and built in accordance with the architectural integrity of the site. 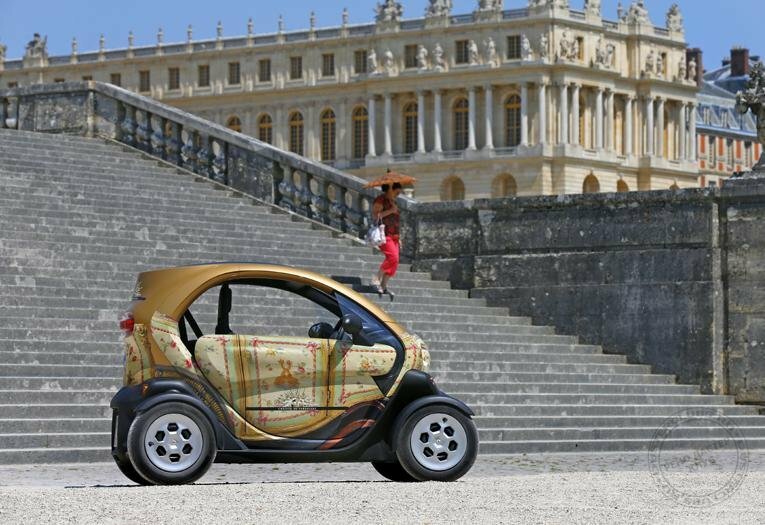 This partnership with the Versailles château gives Renault’s electric range a very high profile because the site is one of the most popular tourist destinations in France with 12 million visitors a year. A historic footnote: one particularly original Twizy can be seen at the château. 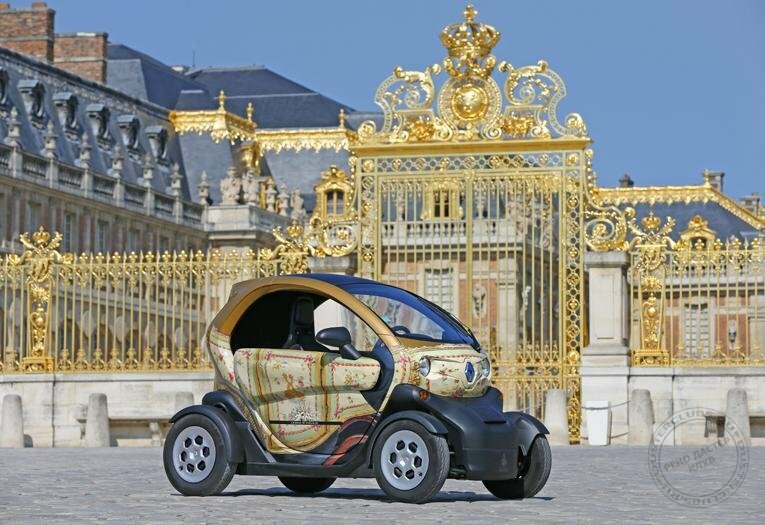 It is the “Twizy coach”, decorated in exactly the same way as the coach of the “heir to the trone”, Louis XVII-to-be, King of France.